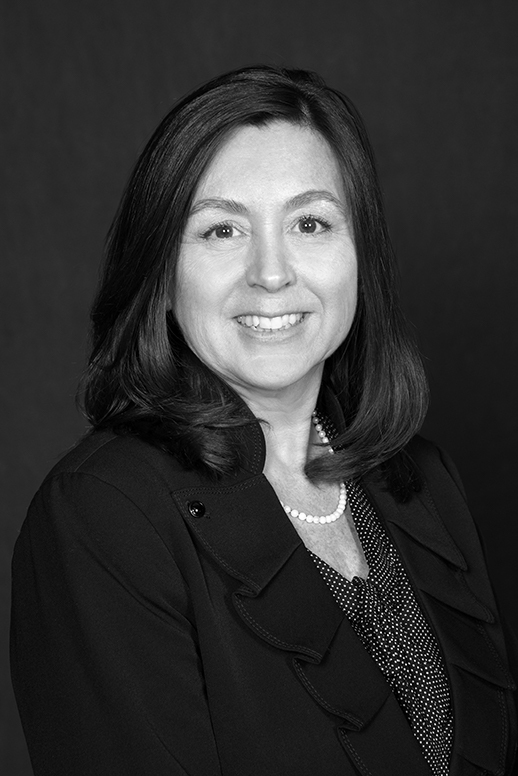 Tina L. Hughes has valuable experience working in various capacities with companies experiencing cash flow issues. She has completed numerous workout and turnaround transactions, merger and acquisition transactions, and loan refinancing, including securing loans for clients from the Small Business Administration. Prior to joining High Ridge Partners, Tina held positions with various commercial lenders in senior management and account management. Ms. Hughes possesses skills in strategy formulation, business planning, financial analysis, financial forecasting and crisis management. Her experience includes providing business advice to troubled companies, secured lenders, and other constituencies in bankruptcy proceedings and out-of-court workouts. During her career at High Ridge Partners, Ms. Hughes has assisted a number of clients in securing alternative financing, in budgeting and operating during periods of cash crisis, advising secured lenders relative to troubled borrowers, and has managed the liquidation of both operating and non-operating businesses. Her experience is in a variety of industries including manufacturing, distribution, technology, retail, healthcare, and trucking. She has worked on cases involving a broad spectrum of companies, ranging in size from $5 million to $200 million in revenues. Prior to joining High Ridge Partners in 2002, Ms. Hughes was the Vice President of Portfolio, Audit and Operations for FINOVA Capital Corporation in the Healthcare Finance Division. She was responsible for the management of a $1.0 billion portfolio consisting of asset-based, cash flow, mortgage, and construction loans. Ms. Hughes was nominated and awarded the Chairman’s Club Recognition Awarded as a result of her efforts in 1998 and 1999. Prior to joining FINOVA, Ms. Hughes was a commercial banker for American National Bank and Trust Company of Chicago, now known as JP Morgan Chase Bank. Prior to this, she was a Field Examiner for GE Capital Corporate Finance Group. Ms. Hughes received her Bachelor of Science in Finance from Michigan State University in 1988. She is an active member of the Turnaround Management Association, acting as a co-chair numerous committees over the last 5 years. She accepted a position as a Director for the Turnaround Management Association Midwest Chapter as of January 1, 2018. The Turnaround Management Association Midwest Chapter awarded the Small Transaction of the Year Award to a team of professionals led by Ms. Hughes for successful Assignment for the Benefit of the creditors that commenced on June 1, 2016. Ms. Hughes became a Certified Turnaround Professional (CTP) in 2017.